I was invited to speak at the inaugural Asia, Australia and New Zealand Immerse in The Future Summitin Bali. The event was hosted by Tech Mahindra, the global technology arm of the Indian Mahindra Group. The focus for the event was to bring together expertise across the region in the Communications, Media & Entertainment sectors and mix them up with their clients and business partners to stimulate discussion and knowledge-sharing on the big transformational issues facing these industries. 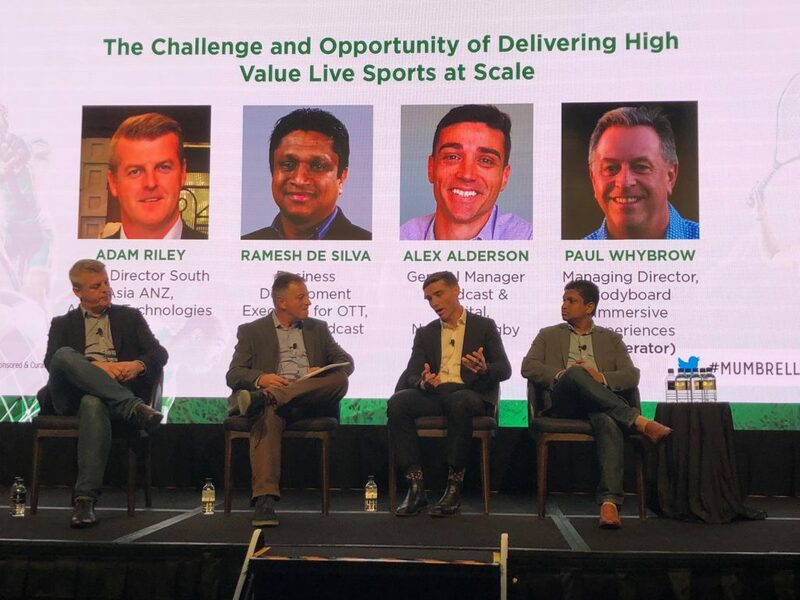 Topics ranged across the spectrum, including the role of AI, VR and AR, internet television, IOT and developing smart cities, how engineering and IT are merging, the challenges in driving personalised customer experiences, data, security and why esports is showing real potential for becoming an accepted sporting code. Philipp Kristian Diekhöner , the author of The Trust Economy gave an interesting context as to why our current digital disruption is just the latest in a set of significant changes in trust that are driving new behaviour. For him, trust is what enables the value to be realised in economic or social interaction. These changes started with the trust of switching from nomadic to agricultural life, then the introduction of money that gave us a universally agreed trust in value. Recently there was the trust in switching from paper records to computers and now the significant trust change from centralised trust to decentralised. This has been driven by a renaissance of relationships and decades of innovation powered by computing. Our core resurgence in the trust in personal relationships means that where a decade ago we would have thought it odd to get in a stranger’s car for a ride or turn up at a stranger’s house to stay in a spare room we will happily now do that because of the immense trust delivered by the shared economy. In the workplace Philipp suggests this is creating a new ecosystem where there is high autonomy of individuals and teams with a high alignment to what the overall strategy and plan is for the organisation they work for. This new way forward is a set of ‘self-regulating tribes’built on the new power of relationship and economic trust. A more empowering future for us all. 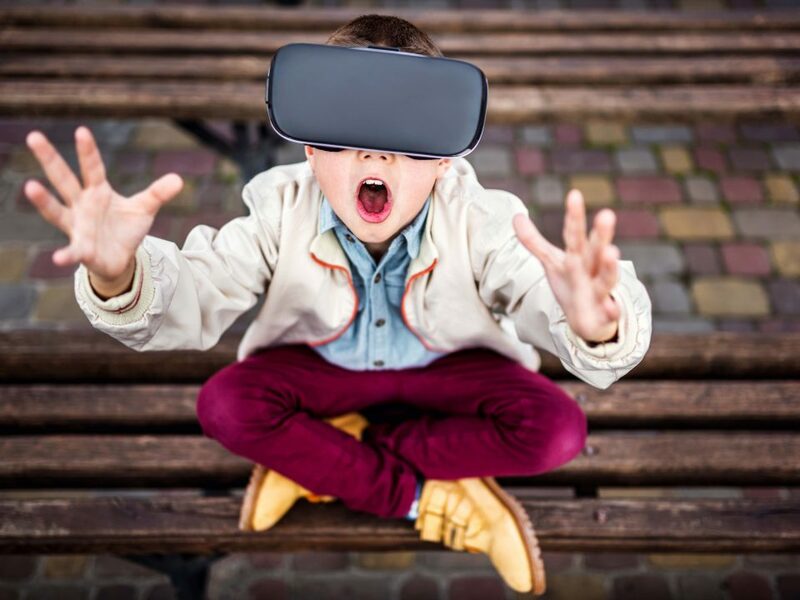 Will Virtual Reality (VR) or esports win next year’s battle for innovation attention? 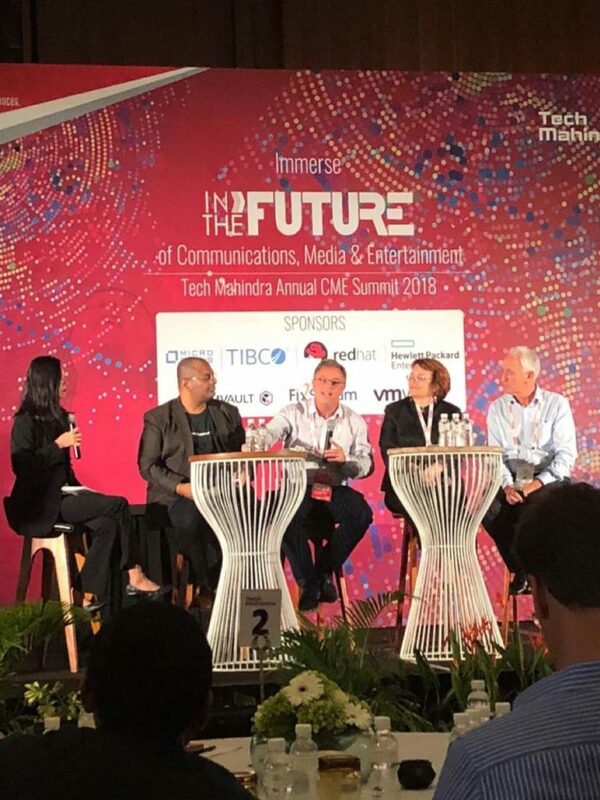 The discussion on immersive entertainment was covered in various angles, including the panel I was involved in, tackling the current state of virtual reality. 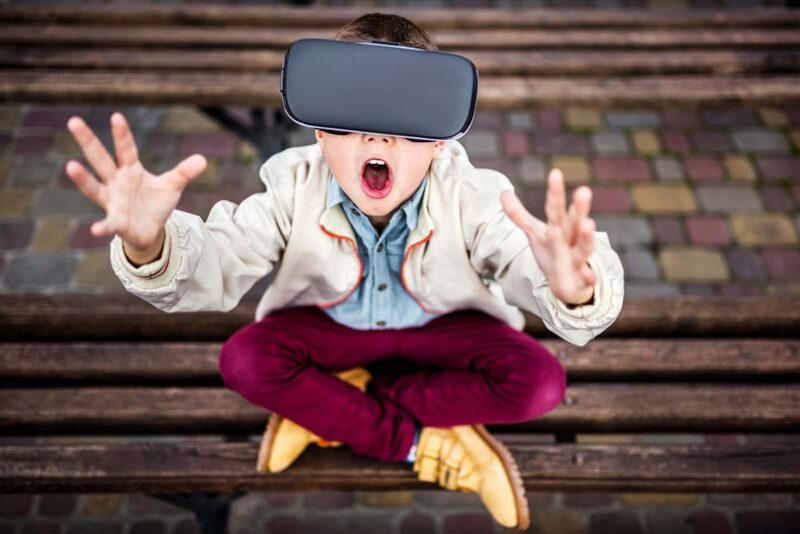 There was strong agreement that VR does open the door to more exciting content creation and experiences, especially in the education, retail, defence, training and medical areas. With broadcast however, there is hesitancy because the need for headsets and the ability to implement the 4K quality consistently for the viewer needs to be further overcome. Esportscertainly is starting to get the next big thing attention, here as I have seen in other broadcast conferences. As Frank Sliwkafrom ESLexplained that the combination of big stadiums, young audiences, participative passionate fans, professional teams and rapidly growing playing is very compelling. This is leading the interest in building the entertainment experience esport offers and the potential revenue and sponsorship opportunities that seem very likely to follow. It is becoming a more diverse sport with heroes like Scarlettemerging and a sports promotion approachwhich is no different to many mainstream sporting codes! 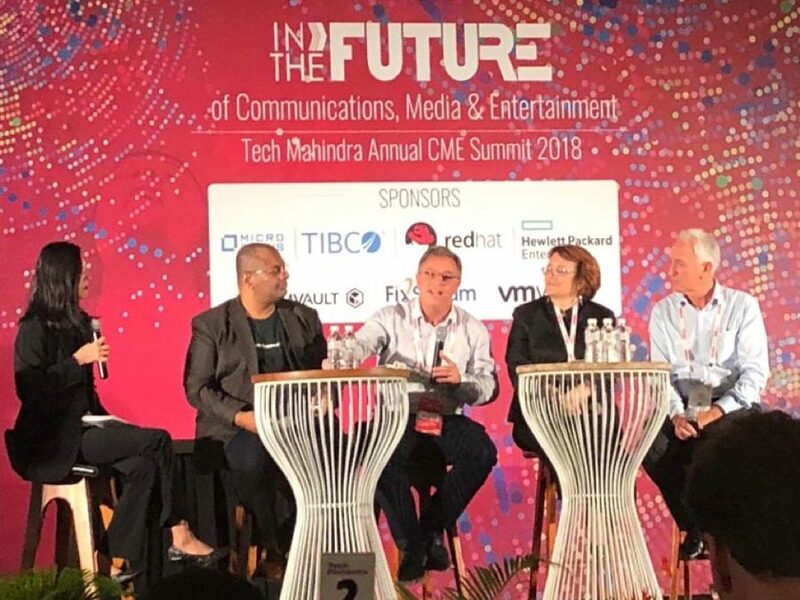 The convergence of the traditional engineering and IT/IP skills are building pace in many communications and media companies, with the culture change being the bigger challenger sometimes, more than bridging the knowledge differences. It seems businesses can no longer just look at a vendor’s roadmap and see what product or service will suit them. They are really looking to a converged view, mixing engineering and IT skills with problem solving that is customised for the rapidly falling timelines for their internal customers. There were some warnings for communication companies. If your business is just focussed on telco carriage then you may have a survival problem. 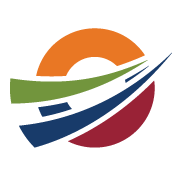 You are likely to become a utility provider with limited differentiating impact on price. The answer it seems is to transform yourself into a mobile lifestyle provider. If you can provide services that help your users have a more convenient and entertaining life, then you can earn them as customers. Every marketplace is always different and coming from Australia it is always good to be remined that we are clearly different in scale and consumer attitudes to our neighbours. Our combined population of 30 million is dwarfed by countries such as Indonesia (255 million), Japan (126 million), or Thailand (68 Million). The scale of the transformation in both audience and businesses is far more dramatic than we contend with in our own backyard. The trends that jumped out for me were really around the diversity of consumer practices. In some markets there are pre-pay services and in others it is hyper-local with ever-changing pricing and offers to compete. The real barrier to commercial revenues for some content providers is that many viewers prefer to avoid paying for content where they can, which is a challenge. There is certainly for many a direct jump to mobile viewing, avoiding TV. This last point resonated strongly with me as it highlights the rapid adoption of mobility for entertainment that will dominate audiences and become the norm. With limited access to smart TVs it seems people are just leaping to mobility, in some cases 80% are watching their video content on mobile. These emerging markets I think can show us in Australia and New Zealand a lot about the future experience our audiences will demand. 5.Discovering how creating smart cities means smart simpler technology not just new roads and public transport. The city congestion and future planning of Sydney, Melbourne and other Australian cities has been a hot topic for conversation and politics. Both cities are going through infrastructure building and investment in roads and public transport along with developments in housing spread. It was really refreshing to look at the city transformation debate from a very different angle in the way technology can drive smart cities. As fellow Aussie Catherine Caruana-McManusput it, creating smart cities is no easy task as you have to “bring public and private together and the view needs to come from the bottom up, the use of IOT (Internet of Things) will not be one size fits all”. There were some good examples which described where technology is supporting simple solutions to really make city living much easier. This included the Madrid car pollutionmonitoring which bans visitor cars if levels get too high and the Jakarta live flood monitoring app. Traffic, waste, environment, water management and waste management seem areas that can be tackled with smart technology as a priority. Integrating different sources of video and data still need to be overcome to create really smart apps. As an example, combining city cameras with city lighting could give a solution that can help security, safety and power wastage all at once, but often the systems don’t talk to each other which is a barrier to their creation. Overall there was an amazingly wide range of topics discussions and knowledge shared which goes to highlight how much change there is in the way Communications, Media and Entertainment fit into our daily digital life. 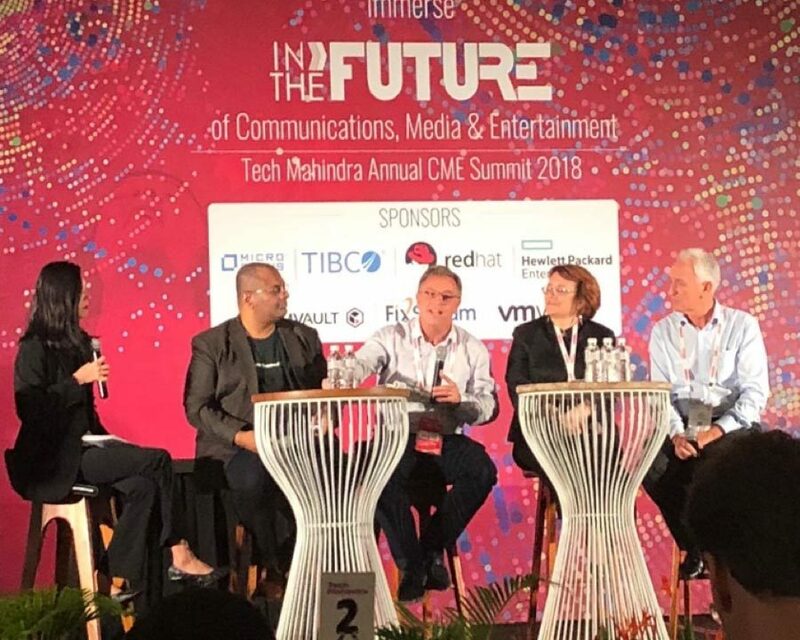 Paul Whybrow was a guest of Tech Mahindra at the Immerse in The Future Summit 2018. Paul is the Managing Director and Creative Collaborator at Bodyboard Immersive Productions a boutique business with a focus on using 30+ years of trusted expertise to consult, collaborate and create for broadcast tv, visually-led entertainment and 360-degree immersive experiences. Imagining the possibilities and crafting the practical. Subscribe for the latest insights and thinking in creative leadership and immersive entertainment.